This week our Halloween Move & Create series is all about spiders and witches!! We'll be sharing at five cool activities with you that get kids moving around and creating. 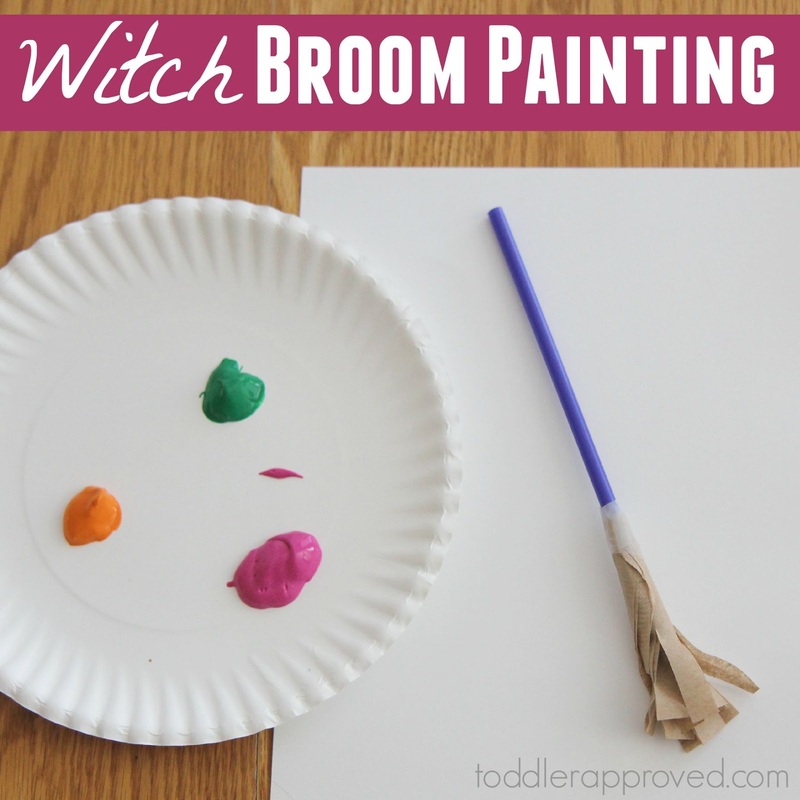 Today we are sharing witch broom painting! 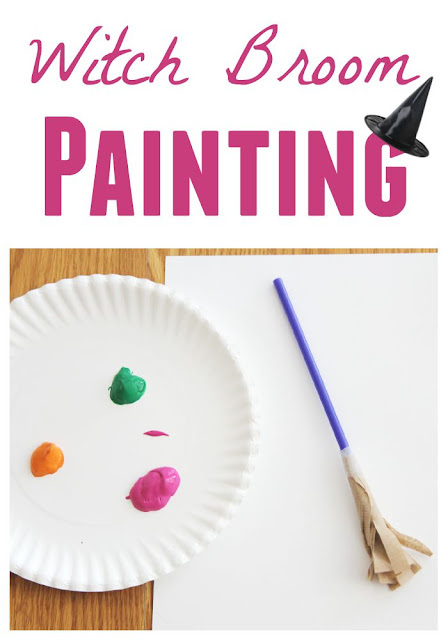 This is a fun way for kids to paint and get in a spooky mood! It is easy peasy to make a witch broom for painting! Just cut off a piece of a napkin or paper bag and use scissors to make a slits on one side (like a fringe). Next wrap the napkin around the bottom of the straw and secure the napkin or paper bag in place with tape. Grab some paint and a piece of paper and use your witch broom to dip and swirl through the paint and create a fun picture on your paper! If you find that your little ones really love this and oversaturate the brooms with paint, use pieces of foam to make the bottom of the witch's broom instead. This activity is very open-ended and allows the kids to just enjoy time exploring their witch brooms and how they work on the paper. We love to read the book (affiliate link) Room on the Broom by Julia Donaldson along with this activity! In addition to making these mini brooms it could also be cool to paint with a real life-sized broom! Have you ever done that before? Make sure to check out our previous Halloween Move & Create posts HERE.